I have a slight obsession with recycling. 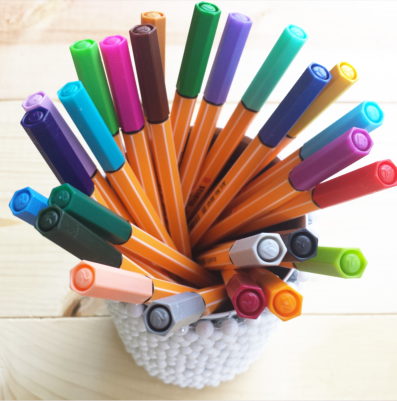 (As you can see here, here, here, and here) A few months ago I purchased this fun Stabilo pen set. 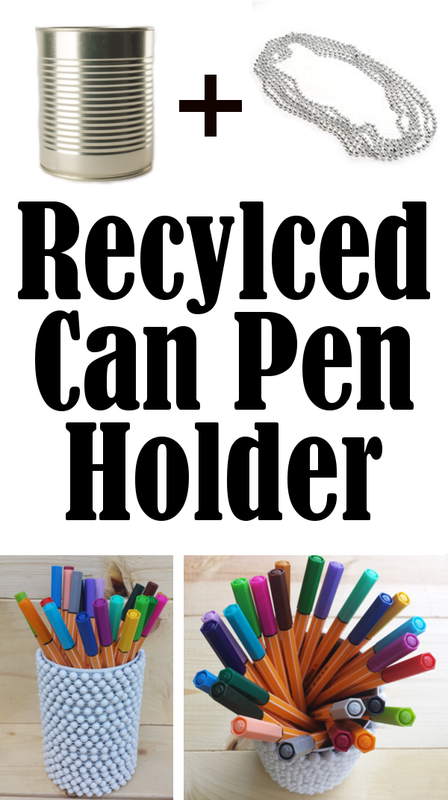 I really wanted a cute pen holder to display on my desk and this is what I came up with. I started with some Mardi Gras beads that I found at Walmart. 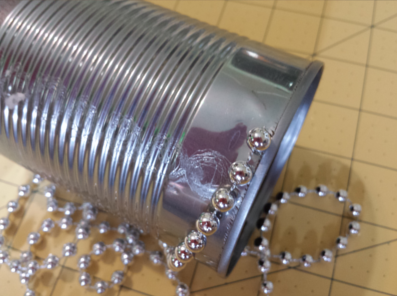 (You can find some similar ones here) Using a hot glue gun, I glued the beads to the can as I wrapped them around. 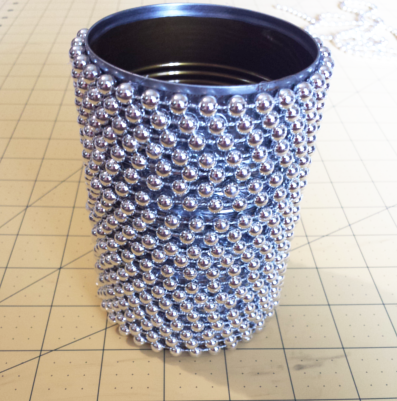 I only added glue to every third or fourth bead. Just enough to hold them in place. 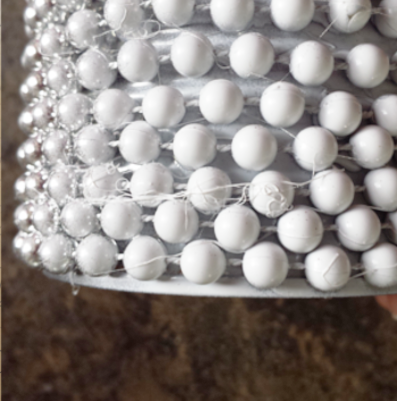 The beads were not evenly spaced and wouldn't line up perfectly no matter how hard I tried. The perfectionist side of me was slightly irritated, but I think it turned out great anyways. You could leave it like this or paint it to match your decor. I chose a simple white. Once I started painting, the strings left behind by the glue gun really stood out. I took an old toothbrush (I always keep one around for cleaning purposes) and gently brushed the entire can to remove any glue strings. 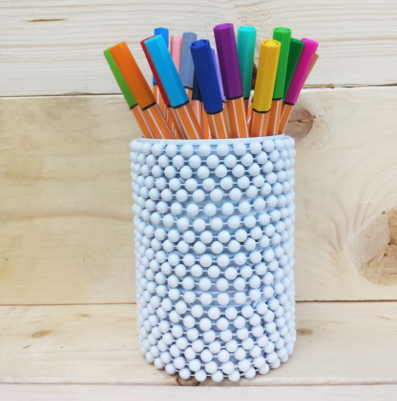 After a few coats, I had a fabulous pen holder. I think I may make a few more to use for growing herbs. Wouldn't these be adorable sitting in the kitchen widow with some basil, chives and mint growing in them?